We are dedicated to building high quality, carbon-fiber products for all types of racing machines. We specialize in design consultation, engineering, production, and custom fabrication to meet your exact specifications and needs. 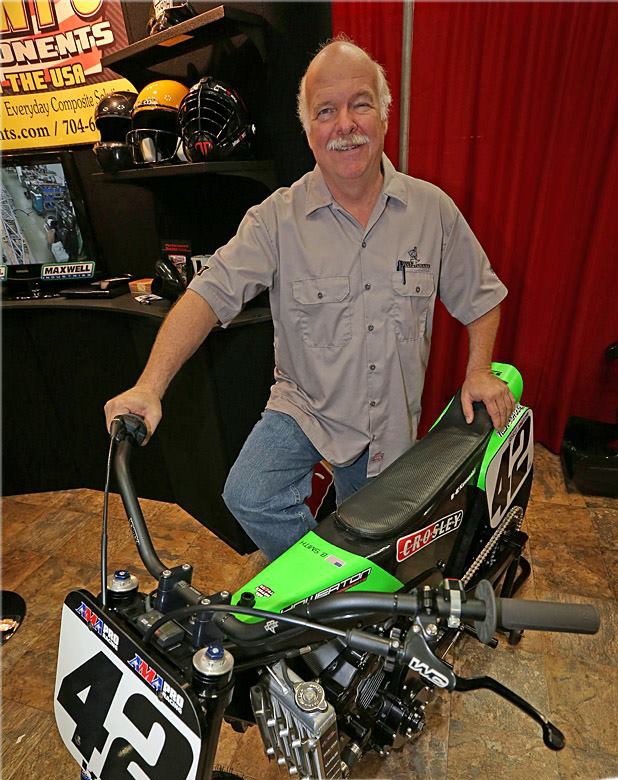 Kenny Koldsbaek “Carbon Kenny”, President of Kenny’s Components Incorporated, was raised in Huntington Beach, California, which is also referred to as “Surfside USA.” At a young age, Kenny and his twin brother Keith were encouraged by their dad to pursue interests in racing. This encouragement led to Kenny’s involvement with Go-Karts, Sprint Cars, Indy Cars, Sports Cars, and NASCAR. In 1992 Kenny moved to North Carolina and was hired by the Mazda GTP Sports Cars Program as a machinist fabricator. When the Mazda GTP Program folded Kenny and his family moved to Arizona where he worked with composites out of his garage. In 1995 Kenny returned to North Carolina to work for SABCO Racing with Robby Gordon’s Indy Car Team. That led to Kenny heading up the composites department for Felix Sabates and the SABCO Racing Winston Cup Program. In 2001, Team SABCO was sold and the composites department was closed. In 2001, Kenny decided it was time to control his own destiny, and started Kenny’s Components Incorporated in the garage of his Troutman, NC home. The business quickly outgrew the garage, so Kenny took the next step and relocated the business to a commercial building. Today, Kenny’s Components is a facility in the Lakeside Business Park, in Mooresville, NC. Though the business has grown, Kenny remains dedicated to building quality MADE IN THE USA carbon fiber products! Kenny’s Components specializes in design consultation, engineering, production, and custom fabrication to meet the customer’s specifications and needs. Kenny’s hobbies include his continued love of go-karting, flying (piloting), motor sports, boats, and just about anything that makes noise. Kenny has two beautiful adult daughters.